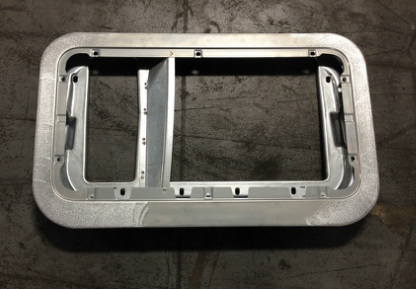 We’ve all seen the increased success manufacturers are having with the use of aluminum for stamped parts. Oakley Industries has helped several firms, providing aluminum fenders, inner doors, outer doors, roofs, and roof bows to a variety of customers during the past year. We can use our kirksite tooling to mirror your production process, proving out feasibility and providing panels for testing. Let us show you how we can help with your stamped aluminum needs. In several cases over the past few years, we have been able to lower tooling cost for our customers using our kirksite tooling process. Often, we can produce up to 10,000 stampings from kirksite tooling, minimizing tooling costs for shorter production runs. With today’s requirements for niche vehicles, Oakley Industries can often contribute to a vehicle’s success. Just ask us, and we can see if this process is useful to you! Oakley Industries also provides customers with service parts for stampings that are out of production. Often we take existing tools from a customer and use them to provide stampings for service orders. Sometimes tooling is lost or misplaced and we are able to scan an existing part and use the data to create a new kirkstite tool to make new stampings. Either way, Oakley Industries is here to help.